National Nutrition Month® is celebrated in March, but making smart diet choices year-round is key to eating well – and being well! 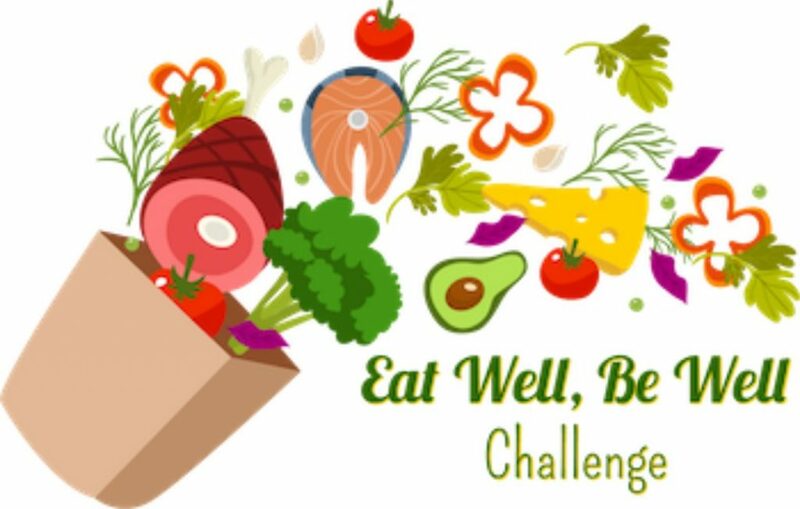 In addition to encouraging you to stay physically active, this challenge will boost your ability to navigate nutrition and provide resources to help you make healthy food choices now and in the future. 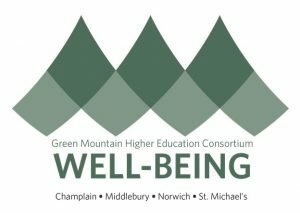 The challenge, sponsored by the Green Mountain Higher Education Consortium, starts on April 15th and ends on May 25th. You will earn Wellable Points for tracking physical activity, logging meals and snacks, and participating in weekly nutrition quizzes. Weekly $50 gift cards to your local food coop will be raffled off each week and at the end of the challenge three grand prize winners will be drawn at random to win one of three $100 gift cards to your local food coop. Don’t miss out. Please join us. This challenge is for faculty and staff. To register, new Wellable users can click here. If you have participated in a Wellable challenge (i.e. Mind Body Challenge) in the past you have been automatically registered to participate. Questions can be directed to Rebecca Schubert, GMHEC Employee Well-being Program Coordinator at rebecca.schubert@gmhec.org. This entry was posted in Midd Blogosphere and tagged Midd Points, Wellness on April 16, 2019 by Jason Cable. Would you like to be updated on ‘All Things Well-being’ in real time? We are creating a listserv to update interested community members regarding on-campus and community events as they come up during the year. If you would like to be included, please sign up here: Well-being listserv sign up! This entry was posted in Midd Blogosphere and tagged Midd Points, Wellness on April 16, 2019 by Laura Wilkinson. New Marketing Media (Paid) Internship Opportunity in LA working for a Midd alum! Wild Card is an award-winning entertainment advertising agency specializing in theatrical film marketing. Located in Culver City, CA, Midd alum, Founder and Editor Nick Temple and his team make up a diverse group of highly skilled editors, graphic designers, and music supervisors. They work with filmmakers across all major studios to develop teasers, trailers, and TV spots for major feature films and television shows. At Wild Card, our internships offer hands-on learning and practical work experience in a fun friendly environment. Interns are encouraged to explore, develop and share their ideas while gaining valuable experience in the showbiz industry. We’re looking for a creative self-starter who is interested in the entertainment marketing industry. • Perform clerical duties, maintain files, organize documents, copy etc. This entry was posted in Midd Blogosphere and tagged Arts, Media, and Communications, Film/Radio/Television, Internships, media on April 16, 2019 by Alicia Gomez. Several Job Opportunities with Insider.com posted in Handshake! Insider Inc. is the publisher of INSIDER, Markets Insider, and 17 international editions of Business Insider, including the flagship NY-based US edition. The company pioneered a digital-native approach to news and information that is social and mobile at its core, for an ambitious and curious global audience that grew up with digital. The company launched in 2007, and in ten years, Business Insider has grown to become the most favorite business news brand in the world, when measured by reach. Insider Inc. reaches a global audience of several hundred million readers and viewers. The company also offers a subscription research service, Business Insider Intelligence (BII), that provides in-depth insight, data, and analysis of digital topics. Every year the company hosts IGNITION, an influential media and technology conferences. Insider Inc. is a subsidiary of Axel Springer SE. We are always looking for talented, curious and motivated individuals to join our growing team. Log into handshake to apply to the below opportunities! This entry was posted in Midd Blogosphere and tagged Arts, Media, and Communications, Jobs, Writing/Publishing/Journalism on April 16, 2019 by Alicia Gomez. TransPerfect, a translation services company, posted two jobs in handshake! For more than 25 years, TransPerfect has provided comprehensive language and technology solutions to help our clients communicate and conduct business more effectively in a global marketplace. TansPerfect provides a full array of language and business support services, including translation, interpretation, multicultural marketing, website globalization, subtitling, voiceovers, staffing services, e-learning and training, and legal support services. TransPerfect also offers a suite of next-generation technologies that significantly reduce costs and improve consistency throughout the translation process, making TransPerfect the vendor of choice for the world’s leading multinationals. With annual revenues of over $615 million, TransPerfect is the world’s largest provider of language services and technology solutions. From offices in more than 90 cities on six continents, TransPerfect offers a full range of services in 170+ languages to clients worldwide. With an unparalleled commitment to quality and client service, TransPerfect is fully ISO 9001 and ISO 17100 certified. TransPerfect has global headquarters in New York, with regional headquarters in London and Hong Kong. Log into handshake to apply for the below job opportunities! This entry was posted in Midd Blogosphere and tagged Arts, Media, and Communications, Jobs, languages on April 16, 2019 by Alicia Gomez. HBO’s Talent Acquisition (TA) department is focused on acquiring the best and brightest talent for the world’s most successful premium television network. The Executive Assistant will provide general administrative support to the Vice President, Talent Acquisition. The VP leads a team of recruiters who manage full life-cycle recruitment for varying business units such as Technology, Sales, Marketing, Finance, Legal, etc. This role requires an individual with strong people and office management skills. The ideal candidate will have excellent phone and in person demeanor, be a quick study, independent and thoughtful in his or her decision-making. A successful candidate will be a creative problem-solver and self-starter who is resilient in a fast-paced environment, and highly collaborative with exceptional organizational skills. Click here to apply in handshake! This entry was posted in Midd Blogosphere and tagged Arts, Media, and Communications, Film/Radio/Television, Human Services, Jobs on April 16, 2019 by Alicia Gomez.